Built in 1910, the Hotel Savoy has served guest for nearly 100 years - even when it became a lowly boarding house during Rosario’s post-war decline. Yet even as a boarding house, the original art nouveau marble staircase, silvered chandeliers, wall sconces, intricately carved moldings and domed roof top tower were preserved in their natural state. 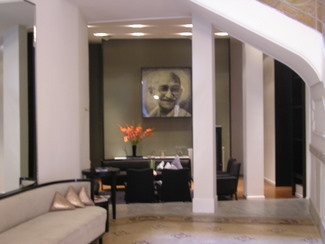 After a multi-year restoration by a private Argentine hotel group, the Hotel Esplendor Savoy reopened in 2009. 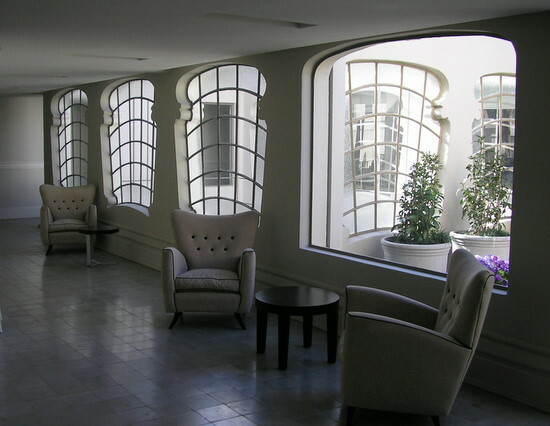 The lobby and halls retain their art nouveau features yet the furnishings and original art are modern with both styles blending harmoniously to provide an elegant but relaxed atmosphere. 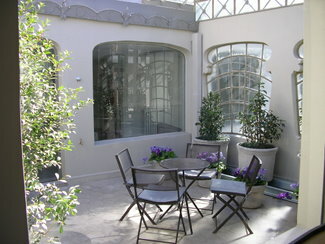 On the fourth floor is the spacious breakfast room that opens onto the roof top garden. An excellent breakfast buffet is included in the room rate with eggs, bacon, sausage, potatoes, a variety of breads, jams, yogurt, fresh fruits and fruit salad, juices, coffee, tea and a large variety of pastries. Newspapers in both Spanish and English are available as well as kosher and gluten-free baked products! Breakfast comes from the kitchen of the Grand Café Savoy. The rooms are modern. The old hard-wood floors have been refinished and are gleaming. Excellent mattresses and linen provide luxury sleeping. Ultra modern furniture, mini-bar, light fixtures and totally new bathrooms complete the high standards the hotel has set for itself. In the basement is a gym and a lap pool, complete with bottles of water and plush towels. Service was impeccable. Since the renovations had been completed only a few months before, I discovered a couple minor problems in the room. A call to the front desk had the maintenance staff knocking almost before I could put the phone down. 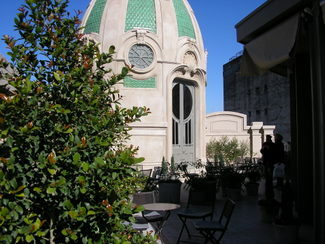 The Hotel is centrally located just a short walk from the shopping district, museums and the Costenera. 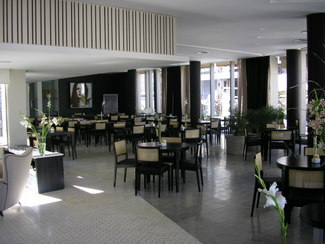 Three weeks before our July 2009 stay, the Grand Cafe Savoy opened displaying culinary standards equal to the hotel. We stayed six nights in the Hotel Esplendor Savoy and could just as easily moved in. Rates for a well appointed standard double, including buffet breakfast, were AR$307 (US$82.00). Che Pampas Hostel is housed in a late 19th century town house one floor up from the street via two very narrow flights of stairs. Anyone using the windows as an escape can look forward to a 12 foot drop to the street below - that is if your window does not open onto the enclosed second floor courtyard where one would be surrounded by a burning building. The premium private double room with “ensuite bath” is above the kitchen up a narrow metal staircase that is accessed from within the kitchen. The private “ensuite bath” is actually outside the cell-like room and does not include a sink. If you want to wash your hands or brush your teeth you either turn the shower on or walk down through the kitchen, down a hallway to the shared bathrooms. The “double bed” is a thin mattress on a plywood box, with two 1 inch-thick pillows, and there is not even one hook to hang anything, no less a closet. The plastic “shade” covering the window is broken. 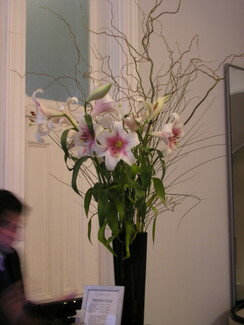 Its cost put it among the highest in Argentina at AR$168 (US$45). The kitchen has no storage for hostel guests to store food although it has a refrigerator. The counter space is not even large enough for one person to cook. The no smoking ban and the no socializing in the kitchen after 2:00 AM were not enforced. I had no sleep and everything the next day smelled of cigerette smoke.